Pasadena California is well known for Corruption in both its government as well as Police department. Danny Wooten, former pastor of New Covenant Christian Fellowship Center church in Pomona, is accused of embezzling more than $5 million from Pasadena while a city employee. 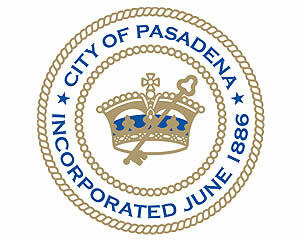 The city will pay more than $275,000 to two Pasadena department heads who were fired amid a $6.4 million embezzlement from City Hall. Department of Public Works Director Siobhan Foster and finance chief Andrew Green were fired without cause by City Manager Michael Beck last week. The city released details of the total severance packages that will be paid to Foster and Green on Wednesday morning. Foster will receive six months salary and healthcare benefits totalling $109,425.39. Green’s severance pay totaled $105,840.93. IN PASADENA, FIRING “WITHOUT CAUSE” GET’S YOU THE LOTTERY, THANKS TO CITY MANAGER MICHAEL BECK! According to the Pasadena Star News the two fired employees City of Pasadena’s Public Works Director Siobhan Foster and Finance Directory Andrew Green will cost the taxpayers $275,000.00 to make them go away. In what world does a “fired” employee get a lottery win with reference to a payout? Only in the “public sector,” this my friends, would never happen in the “private sector.” Then what usually seems to happen, is that these two people will be picked up or recycled by other cities to implement the same schemes until they are outed once again. Remember City of Pasadena, you lost $6.4 million in taxpayer monies that may never be recovered due to the oversight of Siobhan Foster, Andrew Green and City Manager Michael Beck. Following an officer-involved-shooting of an unarmed teenager, the Pasadena Star-News began a closer look at the conduct and tactics of the Pasadena Police Department. It is a crime to conceal a Federally identified superfund site from the public. A Jail able offense requiring prison sentences for those who willingly hide a public health hazard from the people who constitute the city as property and business owners, tenants and guests. The City of Pasadena through the ongoing non elected JPL puppet leadership has unanimously voted to suspend the Brown act.